The pinnacle of the formula created by Master Kojima, a game that takes almost all the concepts that have served to carve their renowned reputation for years and is updated at the same time making the leap to gender bias, the sandbox. Around this detail is the kit of the question, so I have played and received as a Metal Gear but mainly for what it really is an open world game, and as such, must also take into account a number of features that are key in these games. 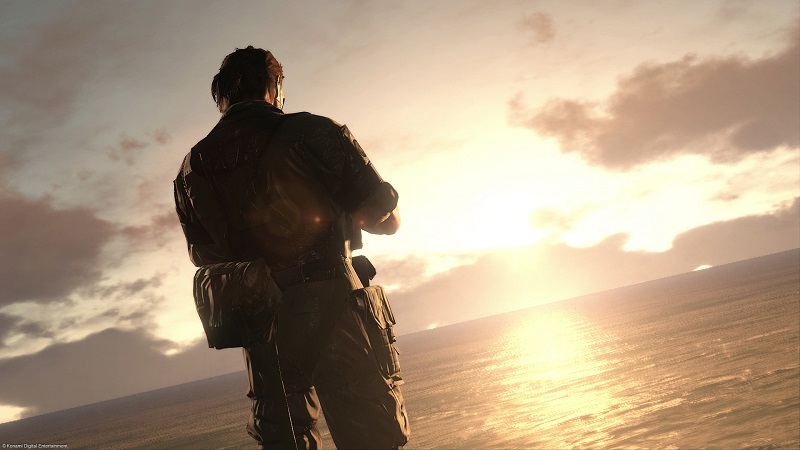 It is the most significant detail of The Phantom Pain, the new nature of its setting. Each and every one of the installments of this saga have contributed new and changed its formula to grow the legend. The substitution of the classic linear plots and rigid open-world action was always suggestive, but maintain your essence and manage a huge open world, making it interesting and rich at the same time; it is something that can be difficult. It is for this reason that this analysis is focused primarily on this feature, the hallmark of this new Metal Gear. The approach of an open world is powered by the mission system of the game, where they appear divided and spread across the stage into two classes: the operations related to the main story and side missions, some of which related to the first. As we move forward in the main story, different types of side quests begin to activate. It is important to conduct such missions, especially at first, to learn to relate to the game, gain experience and meet the scenarios. Then you discover that it is vital to repeat those same missions for resources, military equipment, and vehicles and recruit soldiers draw for Mother Base. This is what makes us succeed in the game and here lies the main problem of Metal Gear Solid V: The Phantom Pain and sandbox. At first these side quests make it fun and it does it become like, that of “cool” and for a moment put aside the main plot. In fact, you get to thinking, better! Thanks to these missions the game and the story will last me more! These missions are repeated again and again, there are several types but end up playing them too often, indeed, the enemy enclaves where these relations are those who also put us at during missions test the central plot. At first its okay, you learn to become familiar with the enemy bases, memorize the various guard posts (which you clear again and again as always reappear in the same spot on the map) and this is the way to progress in the game. You have to store resources, increase the ranks of your army and plunder everything you can and more. It is the moment when you start to feel the symptoms of a disease that afflict many titles in this genre: repetition. A similar defect which suffered the first games like Assassin’s Creed and Far Cry 2. The problem is caused by two reasons. First, constantly repeating the same side quests get bored and although there are several types in the end the feeling produced by this operation is that we seem to always play in the same areas of the stage and meet the same goals all the time. This could have been solved by alternating a few more places where we need to meet the target, since almost all missions and pattern produced in the same camps or bases. Second stage of MGSV is huge if we have a lot of freedom, too, but from top to bottom or from mission to mission nothing ever happens until you reach the “hot zone” of a pre-designated target. This is the other disadvantage. It would have been nice if they had made ​​some random events in the places of the stage, such as meet with a patrol of enemy recognition, some unfortunate to be able to help, visit a village a little crowded where a secondary charge us a task, etc. In short, get that world seem a little livelier. Browse sprinting nonstop for Mount Kabul or concourses of Zaire to the nearest guard post, on foot or in the D-Horse, it is boring, which is a shame when we talk about a title like this. In this aspect, games such as Skyrim or Red Dead Redemption exceed it. It is much more rewarding when the route to a major objective several things can happen, getting to separate you from your mission both because of other tasks until you get to forget your initial task, even having to check your list of missions to remember what you were doing. Undoubtedly, this is one of the great achievements of a good sandbox. I gain nothing huge, packed with details and light effects and climate quality in the later stage if not too many interesting things happen that make me believe that I am in a living and credible environment. In short and in the vernacular, MGSV: The Phantom Pain as sandbox can get disappoint because it is somewhat artificial, as Metal Gear meets roughly the same level as always. This time what we do is we won freedom. Complete the main missions are an experience that has scored points for fun, thanks to the variety that we have to face them. The development and management of the Mother Base is something that we live in MGS: Peace Walker, but The Phantom Pain everything goes further. 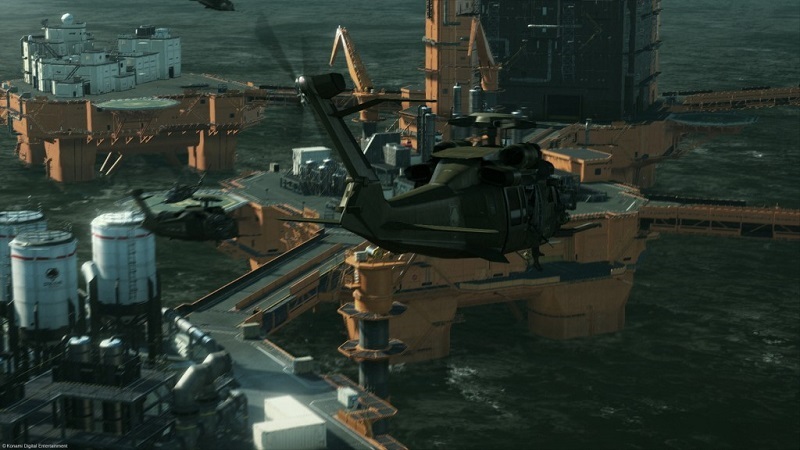 The extensive development of equipment and arsenal at our disposal is large, and the customization options that allow us to choose from the aspect of our foundation, the equipping and modifying our weapons, outfits, emblems, to the ability to customize our partners, and to our helicopter! To unlock all of these options (and the story itself) have to take many hours of play, long touring two major scenarios that make this adventure to enrich us and make us stronger, to hit, though, to repeat again and again the secondary missions previously discussed and clear again and again the same guard posts. Of course the missions of the main story, which is very good, also make us earn profits, they can be repeated as often as we want and in some points of the game we will have no choice but to return to overcome them, again, to advance the game and unlock the next step. A progression system that has not finished convinces. Its characters, its dialogue and plot depth that excited at the same level forever. In this regard, the next Metal Gear, but neither stands out not disappoint. The great virtue of this saga, plus super stealth, is that with each new release the player attends a great new characters endowed with deployment story starring a story that has been weaving for years, for every generation and be written in the history of the game itself. Every time you play a new installment, your brain begins to become saturated with flashbacks and memories of past games, the characters, sequences, dialogues … While playing your mind works constantly to try to tie all the ends of this exciting story. MGSV: The Phantom Pain is another demonstration that Kojima is only telling an original story and extensive that over the years has been writhing and growing stronger. To the extent that full understanding is a challenge that you get to enjoy with great passion. It is fair to note that this latest installment, by his argument, his controversial and revealing outcome, up to the shock of the end of Sons of Liberty, can be perceived and interpreted in many different ways. Among the most ardent fans of the series there are different opinions and not all good. Some see it as another spin off in the central universe of MG, the Peace Walker anabolism to the bars, keeping more similarities with deliveries designed for handheld console with central deliveries. In fact, Kojima, never spoke of “Metal Gear 5” spoke of Metal Gear “V”. Others see it as a tribute to its director the player himself, collapsing the fourth wall with a very personal charge of C4. 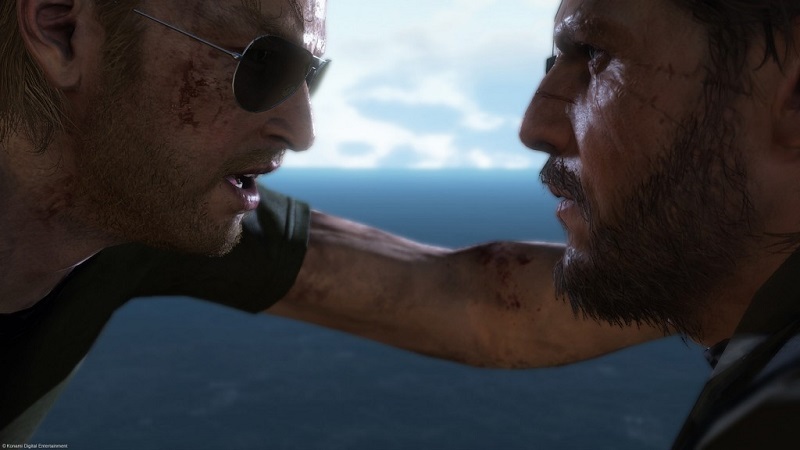 There are others who say that The Phantom Pain owes its “original” structure to historical incongruities in the series. It has been said that this game is an unfinished experience (again are loose ends in the story), even a “punishment” of Kojima himself to his creation, a genius so successful has given … and in turn so you have typecast. Aside this, we are facing the best title ever created infiltration? This analysis can be quite complex depending on the perspective from which to observe the game. Metal Gear lifelong sandboxes with some innovative elements that have made ​​give us freedom and others who have achieved undermine it. As new installment, in general, is no better than MGS3: Snake Eater and Metal Gear Solid 4: Guns of the Patriots. Nor is the greatest masterpiece in levels sandbox, we have sold professional circles. In his debut in this genre it is behind the large, which has a lot to learn when it comes to entertaining away or parallel to a main frame. We have gained freedom of movement and hours of play, but in this transformation have also been sacrificed gameplay aspects of the series that the most loyal fans of the work of Kojima surely will be missed. 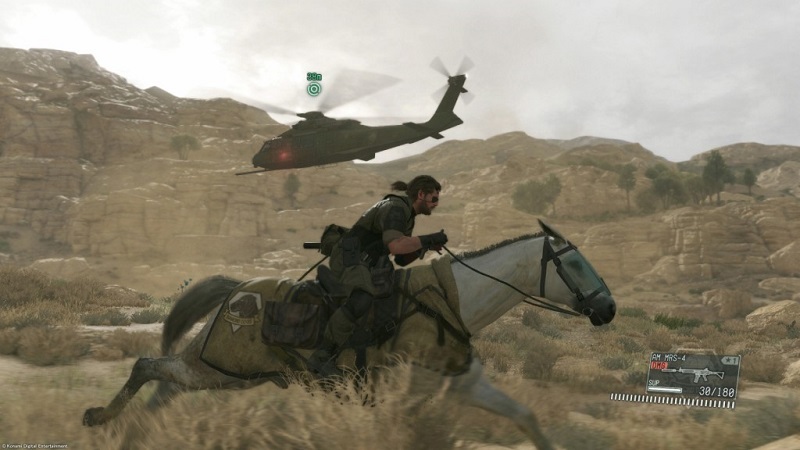 The absence of epic boss battles classic has always been one of the hallmarks of the series, The Phantom Pain disappeared. A pity, since they were the most intense moments of the game. The face to face with them was a test of skill for the player, marked a stage in the plot and always ended with a kinematic exciting that gave us food for thought. This and other details within the game mechanics (absence of bleeding and resistance bars, sprint infinite health regeneration), next to the “ability” to play Rambo, entering a room full of soldiers based peppering the staff a machine gun, is where we feel that Kojima has finished betraying a little himself. As a personal opinion and finally, bearing in mind that the objectives flag is new in this release and its use “essential” to mark points of interest on stage, especially the dangers, something that in my view the fact remains emotion to infiltrate the battlefield, I will say that in a game with realistic touches infiltration spare me much information and call sign on screen. Its use is something that would have limited somehow always act as though outnumbered and go unnoticed requires expertise, it is too advantageous position always know at all times where our enemy is. The four different partners who can join us on the battlefield. The support requests through our I-Droid as various forms of aerial attack and deliver supplies. The use of vehicles and interesting options offered by our helicopter and air hub management, support and element that is a whole new playable within the saga. The passion for detail, another hallmark of the saga that could not miss. I could cite many examples, but the particular feature that records system to fight our way as we progress. Our enemies will discover how to counter our tactics, equipping themselves with helmets to avoid headshots, gas masks for shelling with sleeping gas, bulletproof vests, and night vision goggles if you prefer night raids, etc). At the tactical and managerial aspect within the Mother Base, it is interesting that it is not always effective automatically manage all our staff, it is advisable to check with magnifying glass each unit and its members to remove full advantage. Certain skills of soldiers and prisoners may also be harmful to your group. For example, the negative effects are attenuated member of the same unit assigning another problematic member, thus will focus on each other.